A total of 12 adult cattle with sarcoptic mange were included in a study to confirm the efficacy of ivermectin applied topically at 500 μg/kg againstSarcoptes scabiei var.bovis. Animals were allocated by restrictive randomization according to mite counts to serve as untreated controls or were treated with a topical formulation of ivermectin applied along the backline on healthy skin. Mites were counted in epidermal scrapings made prior to treatment and at 7, 14, 21, 28, 42, and 56 days thereafter. Except for three mites recovered from one animal on day 28, no mites were found after day 14 over the remainder of the trial in scrapings from animals treated with invermectin. 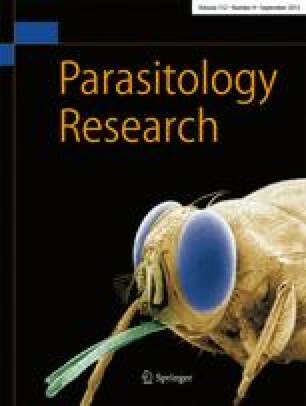 Differences in the numbers of mites recovered from animals treated with ivermectin and those found on controls were significant (P<0.05) for counts carried out on days 14–56. Clinical signs of mange resolved following treatment, whereas the extent of lesions and severity of clinical signs increased in the control animals over the trial period.